Health magazines, books, research papers, gurus, even doctors have discussed antioxidants and their importance to your health, wellness and even ultimate ageing. So what’s the hype about? What are these helpful little molecules and how can they benefit you? The effects of oxidation depend on the material, for iron it rusts, for copper it turns green, apples turn brown, etc. In your body, which of course relies on oxygen for fuel, oxidation is one part of the process that keeps us alive. Unfortunately like burning any fuel there are byproducts and effects, the exposure to oxygen causes what are known as free radicals and more specifically in this case ROS or “reactive oxygen species”. These molecules that have unpaired electrons are “free radicals” and very unstable, bouncing around your body trying to steal an electron and potentially causing damage to cells, proteins, even DNA. Essentially free radicals and oxidation are what “brown the apple” inside your body. Molecules that by nature are designed to interact with the damaging free radicals are known as antioxidants. Vitamins, minerals, and enzymes can all be antioxidants, donating electrons and squelching the free radical damage. This works in two important ways. Some antioxidants simply donate an electron to break the cycle of molecule A. stealing an electron from B, B stealing from C, and so on and so forth. Possibly the most widely known health boosting vitamin, Vitamin C, works in this way stepping in to neutralize the chain reaction. Other enzyme based antioxidants will actually help stop the free radical chain from beginning in the first place. Your body’s best antioxidant defense are enzyme based like glutathione, because they can removes the reactive molecules before they begin bouncing around and starting a damaging chain reaction. Obviously squelching damaging free radicals from damaging cells makes antioxidants an important part of your body’s health. The powerful nature of antioxidants has lead to all types of research into aging benefits, disease prevention, and overall health improvement. It’s easy to see how the interest would arise, most healthy foods known for helping mitigate disease and that have a high ORAC value, are usually also foods with a rich antioxidant profile. 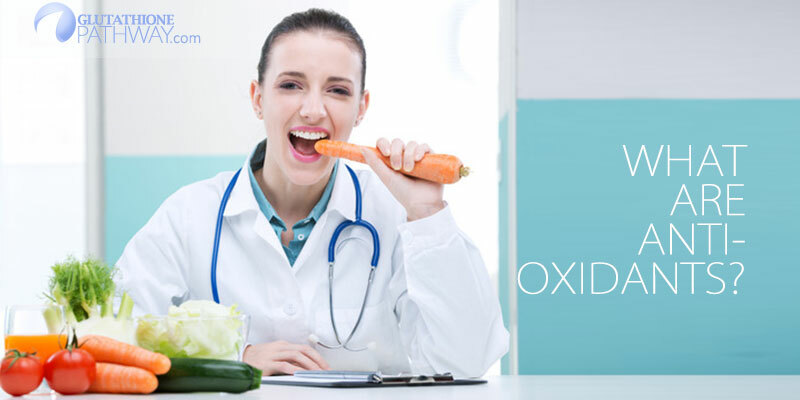 While at the same time oxidative stress damage is associated with diseases including atherosclerosis, Alzheimer’s disease, cancer, ocular disease, diabetes, rheumatoid arthritis and motor neuron disease. Studies will continue but many have already shown antioxidants benefiting the prevention or delaying of these diseases. As has been discussed there are a wide variety of antioxidants that help thwart different types of reactive molecules so food sources, or supplements with a wide spectrum of powerful antioxidants together seem to make a lot of sense. Some notable pairs are coenzyme Q10 and vitamin E, alpha lipoic acid with n-acetyl-cysteine, glutathione and vitamin C.
Berries – All are a fantastic source of antioxidants so take a good mix of blueberries, blackberries and various red berries that will provide ellagic acid, and a range of vitamins, minerals, and phytochemicals that will act as antioixdants and boost the immune system. Coffee – This may have become the number one antioxidant source for most Americans. It contains antioxidants known as quinines and magnesium. Broccoli – has more vitamin C than an orange and contains phytonutrients like sulforephane. Garlic – doesn’t just thwart vampires, this long known health food is rich with antioxidants and has vitamin A, vitamin B, vitamin C, selenium, iodine, potassium, iron, calcium, zinc and magnesium! Tomatoes – make a great sauce and chock full of lycopene. Walnuts – most nuts are great for antioxidants but walnuts are king for abundance and quality, plus they have omega 3 essential fatty acids. We are glutathione pathway after all, and food sources of glutathione are tricky at best. So it’s hard not to recommend finding a way to supplement your body’s number one antioxidant. Supplementing antioxidants can become a complex affair, there are a huge range of them and some work better in combination with others. Plus the studies are inconclusive for proof on some of the antioxidant benefits because they typically have too many variables to deal with and end in conflict, so you have to infer conclusions based on information available. The main thing to look out for is getting high quality, multi factored antioxidants. Don’t just grab “vitamin C” off the shelf, look for pairings. A high end alpha lipoic acid supplement would pair well with n-acetyl-cysteine and vitamin C. Your selenium supplement would probably have vitamin E.
We will be looking at and reviewing glutathione and antioxidant supplements in the future based on their content.